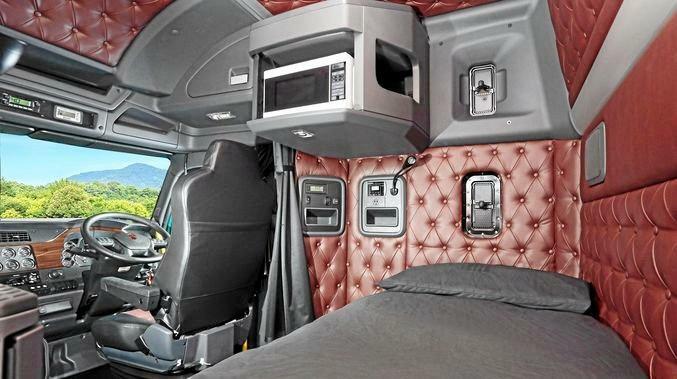 KENWORTH Australia have released their biggest sleeper yet and truckies love the new design, but one thing is certain - they want the length rules to change. Adam Jones said if the "stupid overall length rules” were tossed out, they could have "heaps better bunks”. Graeme Neuendorf agreed and Russell Geary said every linehaul truck should be fitted out with a big sleeper. Peter Robbins loved the new Kenworth 1400mm T610 sleeper cab design which was "centred entirely on the needs of the driver”. "This is a real interstate truck inside,” he said. Karen McCann-Mitchell was in awe.